Dom Pérignon showcase event “Plénitudes” debuted in Hong Kong with an extraordinary experience at Central’s Pier 4, highlighting the metamorphic evolution of the Champagne’s Plénitudes. Dom Pérignon’s creation is centered upon its absolute dedication to vintage wines, exclusively from one year and one year only - a true challenge for a unique interpretation of the seasons, and for reinvention. Dom Pérignon also aspires for each of its vintages to have the potential to gradually transform, in a quest to find itself. The beautiful singularity of Dom Pérignon is to evolve not linearly but by successive leaps. These privileged moments of succession are called “Plénitudes” - moments where the wine sings higher and stronger. Each Plénitude has a distinct universe and generates a distinguished emotion. From one Plénitude to the next, Dom Pérignon’s “Power of Creation” is affirmed in discreet perfection, as the intriguing drama of the vintages grows in the secret of the cellars. The “Dom Pérignon” logo on the rooftop of Pier 4 was alluring against the backdrop of Hong Kong’s iconic skyscrapers. Guests were welcomed to the sensory journey through various showcases in three exhibition rooms, highlighting the three universe of Dom Pérignon. 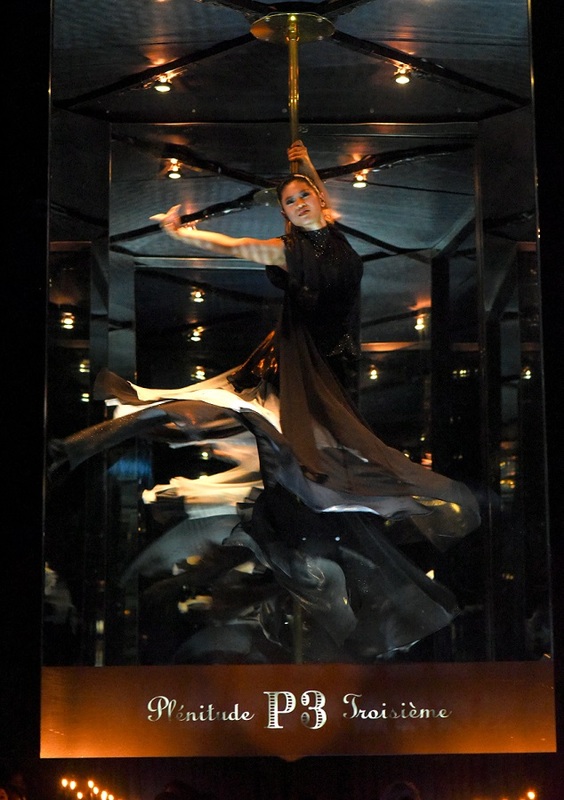 With ethereal choreographed performances and audio-visual effects, each exhibition room represented a distinctive Plénitude of the Champagne and expressed its distinguished traits in that particular stage. The First Plénitude is revealed after nine years of elaboration in the cellars, depending on the vintage. The wine embodies the perfect balance of Dom Pérignon, its greatest promise. In the first exhibition room, guests started their inspiring journey amidst a serene surrounding of water, an interpretation of Abbey of Hautvillers, where Dom Pérignon was born. This is the Plénitude of harmony. A limited number of bottles are then put aside for a longer elaboration to reach its Second Plénitude. It asserts itself after a minimum of 16 years of elaboration in the cellars. 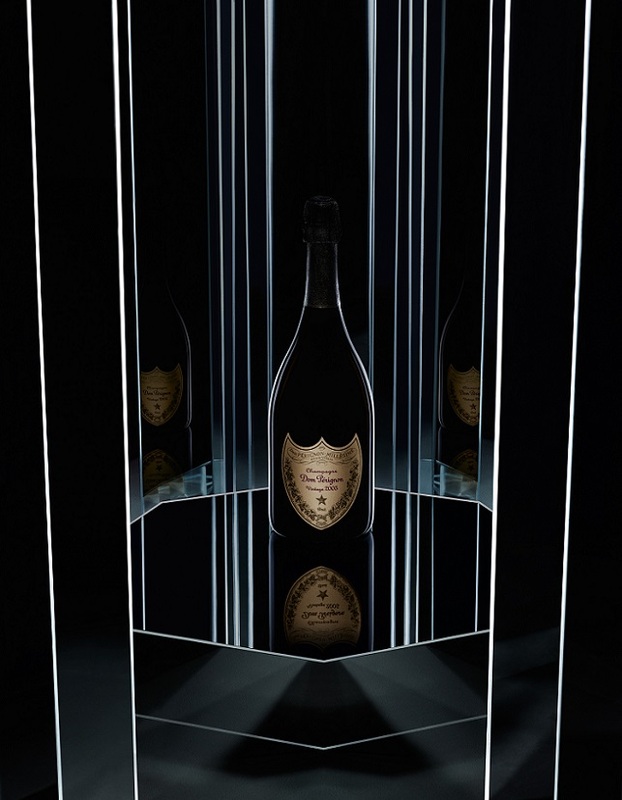 In this window of expression, the wine is majestic in its Dom Pérignon intensity. The second exhibition room was enlivened by a play of energetic and powerful audio visual show, enhanced with a phenomenal dance. Here it expresses its scope, its expansion. This is Dom Pérignon P2, the Plénitude of energy. The Third Plénitude comes after a minimum of 25 years of elaboration in the cellars. The wine now fully embodies another dimension. The third exhibition room opened up in a surprising way, an interpretation of the stars in the sky. A gracious dancer performed in a box under the galaxy. The seamless crescendo led into the chiseled complexity of a singular univeese. This is the Plénitude of complexity. Extra time elaboration in the cellars is essential for Dom Pérignon to stand out as one of the most complex of all wines. During each of the wine’s Plénitudes, with an enlightened sense of drama, certain Dom Pérignon traits are distinguished without ever denying the others. Thus the way in which the wine reveals itself is different each time, yet so close. This process is the expression of a true vision of wine and veritable work of its architecture. Exploring three distinct universes, Dom Pérignon’s “Power of Creation” was demonstrated. “Plénitudes” is one of Dom Pérignon’s most expressive showcases, a discovery of the true essence of Dom Pérignon in each stage of life. After three Plénitudes, Dom Pérignon’s uniqueness is almost completely revealed and accomplished. To celebrate its beautiful metamorphic evolution, a series of events took place on site. Richard Geoffroy, Chef de Cave and Creator of the Dom Pérignon Vintages, shared his fruitful journey with a wide array of wine collectors and sophisticates. With a spectacular view of Victoria Harbour, Richard guided the guests through a journey of extraordinarily elegant champagne, including Vintage 2005, P2 1998 and P3 1982, intertwined with the splendid cuisine by Mandarin Oriental.